Diabetes is a very common health problem in the United States today, with more than 29 million people suffering from it. Many cases are undiagnosed and untreated, which can lead to serious consequences, including death. 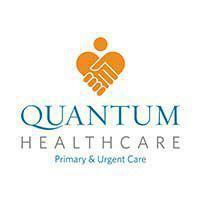 Dr. Yasser Salem at Quantum Healthcare in Crivitz, Wisconsin provide both diagnosis and effective treatment that will help you live your life to the fullest in spite of diabetes. Type 1 diabetes is also called insulin dependent diabetes and was formerly known as juvenile diabetes. In this type of diabetes, the pancreas doesn't create the insulin required for proper glucose processing. Type 1 diabetes is most often diagnosed early in life, but is sometimes discovered in young adults or older adults. This type of diabetes isn't preventable, but it can be treated very effectively. Type 2 diabetes accounts for the great majority of all cases of diabetes. Most patients who suffer from type 2 diabetes do make some insulin, but the body doesn't process it efficiently. This is known as insulin resistance. The ultimate result is that the body can no longer process glucose efficiently. Type 2 diabetes is a preventable condition. It can be treated effectively, especially if you're fully committed to being well again. In most cases of type 1 diabetes, either insulin injection therapy or a continuous insulin pump is used. This should be accompanied by smart lifestyle choices, including maintaining a healthy weight and getting regular exercise. If blood glucose can't be kept in a healthy range despite these lifestyle adjustments, medication may be needed to prompt the body to make more insulin. Medication for type 2 diabetes is often taken orally on a daily basis. In more severe cases of type 2 diabetes, it may be necessary to start an insulin injection regimen or to use a continuous insulin pump. What Can Happen if Diabetes is Not Controlled? If diabetes isn't treated and kept under control, it can be deadly. Conditions like diabetic ketoacidosis, eye disease, kidney disease, heart disease, and other serious problems can occur. Thanks to advances in medicine and extensive knowledge of the disease, diabetes doesn't have to be a death sentence. You can live your life and enjoy it just as much as you did before diabetes, as long as you stick to your treatment plan.